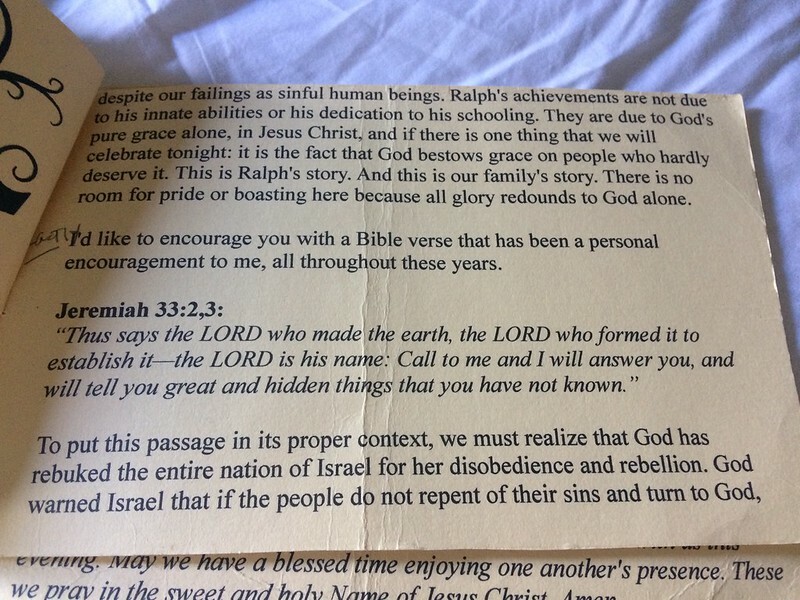 It's the little things that make me weep, the minutiae of life so permeated with Tatay's presence—such as this printed cue card. 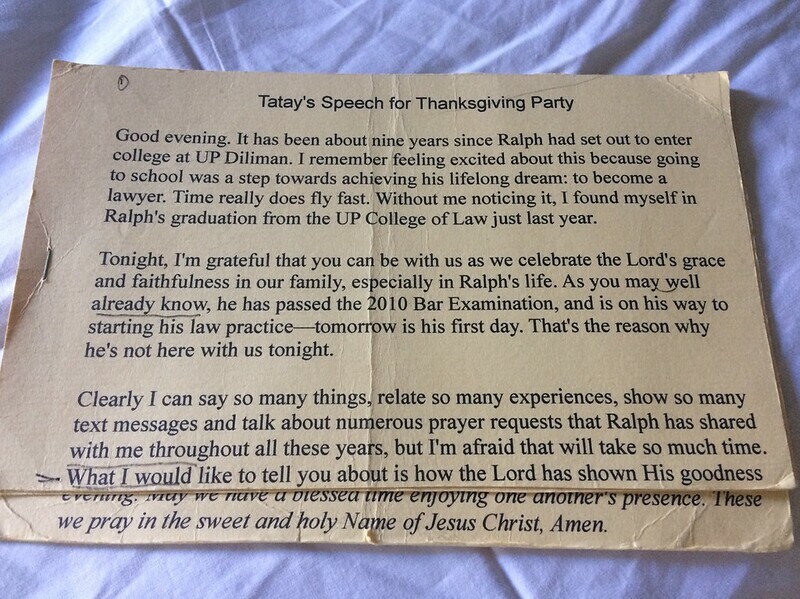 It bears the words he had uttered during Manong Ralph's thanksgiving party in May 15, 2011. 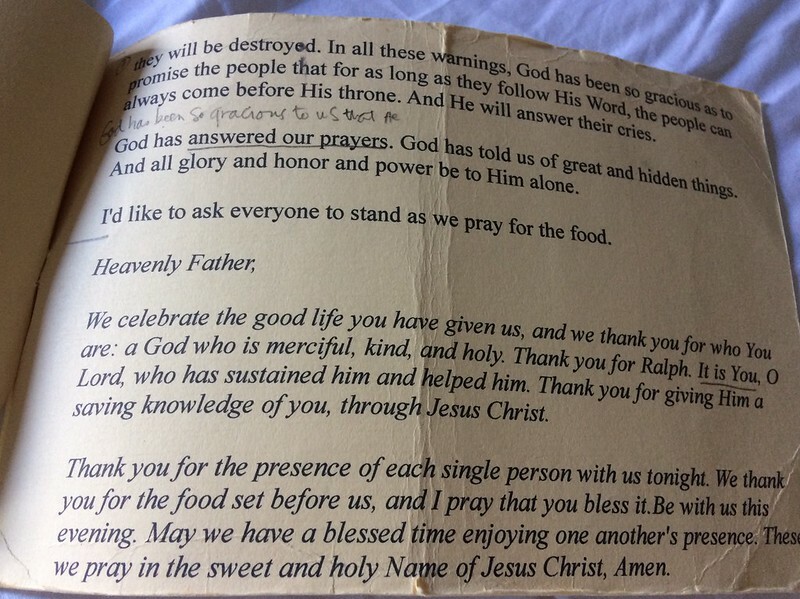 Lovely speech from your Tatay and so true.